We held our Obon, Hatsubon, and Remembrance Day service, remembering and honoring those who passed before us. For Hatsubon, the names of the members who passed in the last year were called and family members offered incense. That was followed by our Remembrance Day calling of names of those who passed in July or August of any year. 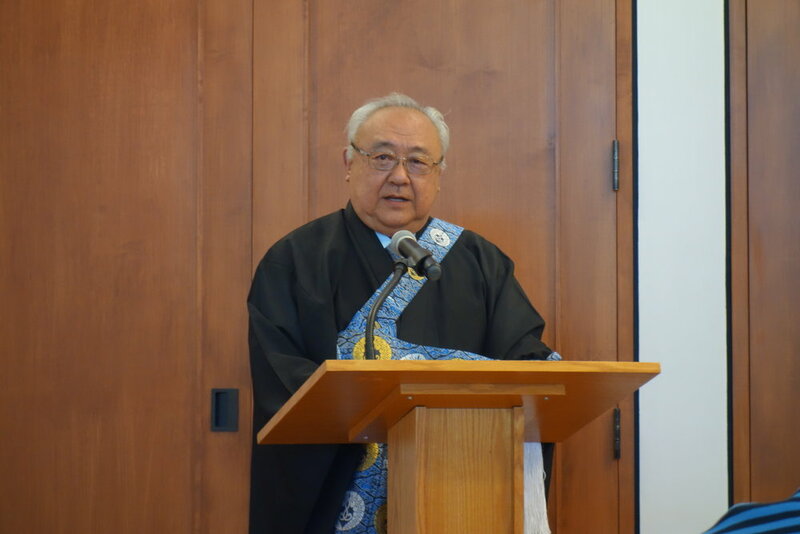 In his Obon Dharma Message, Rev. Sumikawa spoke of the history of Obon in the Jodo Shinshu tradition. Obon is a festival of memories and joy. We gather in joy, remembering all of our ancestors, without whom each of us would not exist. If you go back 10 generations, you have 1,024 direct ancestors. Going back 20 generations, that's over 10.2 million direct ancestors. If any one of those individuals were missing, you would not exist. Kailua Hongwanji's Obon is on Saturday, July 28. There will be no service on July 29 (Bon Dance clean up), no services in August (summer break), and no service on September 2. Our next Family Service will be on Sunday, September 9, 2018. 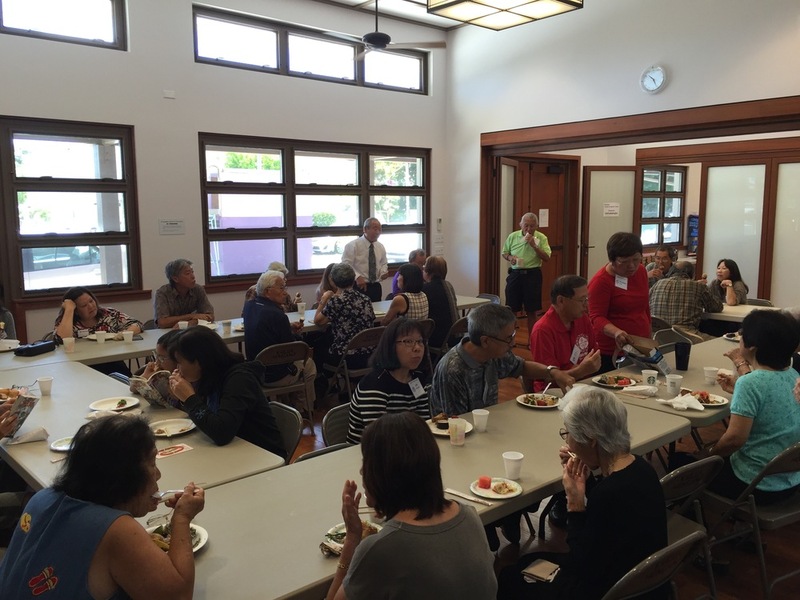 Our Hatsubon Service was held on Sunday, July 10 at the temple. The Hatsubon commemorates the first obon since the passing of a loved one.